Photos can be viewed every day until December 9 from 9 a.m. until 4 p.m. There is no admission charge, but prepare to be wowed by some of the best nature photography in the region. 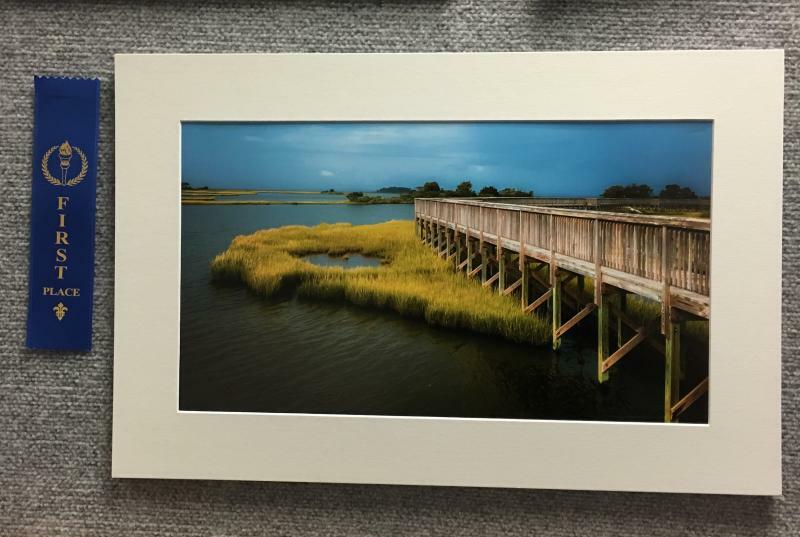 The annual contest is sponsored by the Friends of Prime Hook National Wildlife Refuge. The show is open to visitors and offers soaring vistas of some of the most scenic areas and wildest residents of the area. Visitors are asked to vote for their favorite photo, which will then receive a "People's Choice Award" at the conclusion of the show. The Friends' group would like to thank this year's panel of distinguished photographers who served as judges. Ken Arni, David Koster and Deny Howeth lent their considerable photographic talents to that job. The Friends' group would also like to thank the refuge staff and the many volunteers who help make the contest possible each fall. If you did not enter this year, please consider joining us and sharing some of your photography for next year's contest. 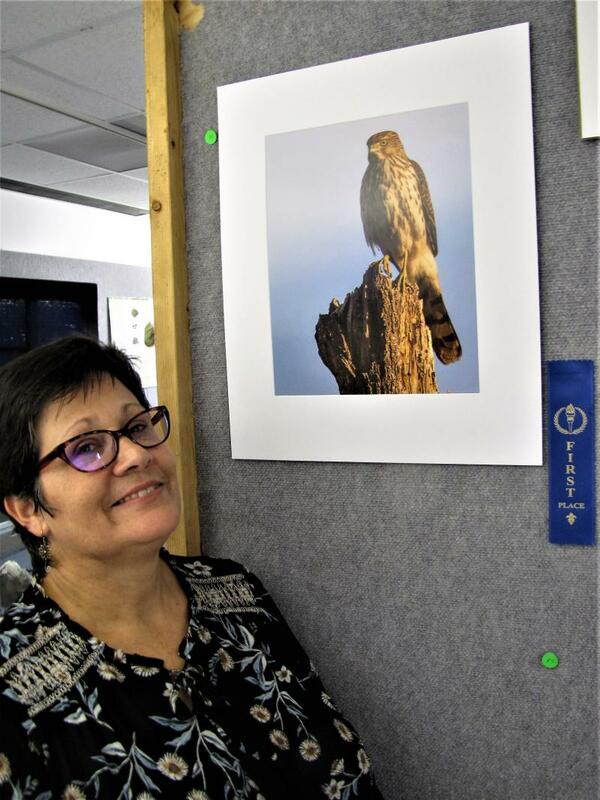 Julie Memmolo won first place in the native birds category with "Hanging with Mr. Cooper." 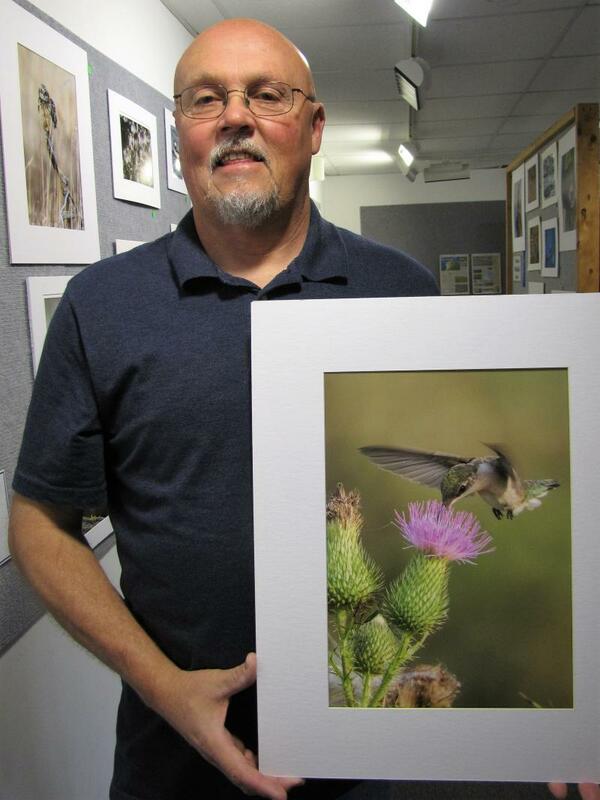 Footnote from website editor Bill Fintel.... Susan McFarlin is a top volunteer at Prime Hook NWR, working in the store and many other volunteer activities, such as the Photo Contest. Another individual that also deserves a huge amount of credit is Michael Short. Michael was the main organizer of the Photo Contest, and also did all the written summaries you are reading on the Friends site. A HUGE thanks to Susan and Michael!!! Best in Show - Ed Norman "Peregrine on the Attack." 1. Julie Memmolo - "Hanging with Mr. Cooper." 1. Earl Blansfield - "Snapper." 1. Julie Memmolo - "Pretty in Pink." 1. Kristin Forman - "Facing West." 1. Maria Deckmann - "The Queen." Copyright 2013 Friends of Prime Hook NWR. All rights reserved.